For up to date pricing, availability call Malia (808) 394-9779 or click here to email Malia. Azure Ala Moana Azure Ala Moana will be a 41-story, 429-unit mixed-use tower across from the Honolulu Walmart store. Ala Moana area Not announced yet. Gateway Towers Howard Hughes ultra luxury condominium building, designed by Richard Meier. Kakaako Ward village on Ala Moana BLVD acros Kewalo Harbor. 2020 Project will be redesigned and so it has been delayed. Please read our latest post on this update to Ward Village. Luxury project by Howard Hughes Behind Ward center Theatres adjacent the new Whole Foods. 2018 All units have been sold, there are a few resale units available. 1133 Kaiulani This is a condotel with 246 units, 1,2 &3 bedroom Waikiki Project was cancelled Development site was sold to Hilton Grand Vacations and will be a new timeshare tower. Ke Kilohana High rise with most units being Reserve Housing Ward Avenue at 988 Halekauila Street across from Sports Authority End of 2018 There are some owner occupant two-bedroom and three-bedroom units to be sold in a lottery in Sept 2018. Sales of the highly anticipated Aali’i condo is delayed to the end of the year. Want to see older posts? View the Oahu condo developments blog archive. By far the most talked about area for new condominium projects is Kakaako. This is fast becoming “THE” neighborhood in which to buy in Honolulu. With two large landowners committed to redeveloping their land in this neighborhood. This district currently full of warehouses will be transformed in the coming years as more than 20 condominiums will be added to the Honolulu skyline. The redevelopments are aimed at creating a vibrant and mostly luxurious neighborhood that reflects the active lifestyle people come to expect with Hawaii living. In addition there are several new developments in other areas of Honolulu including Waikiki and Ala Moana. The Kakaako developments by Kamehameha Schools called “Our Kakaako” and Howard Hughes Corp.’s “Ward Village” are the 2 most significant redevelopments in Kakaaako. Howard Hughes presently owns 60 acres in Kakaako with land that extends from Ala Moana Boulevard to Queen Street and past Ward Avenue. This prime area, mostly filled with warehouses and 2-story retail is prime for redevelopment. Ward Village will be a environment in which to reside. Their plan is to create a LEED (Leadership in Energy and Environmental Design) Platinum Neighborhood (LEED-ND). 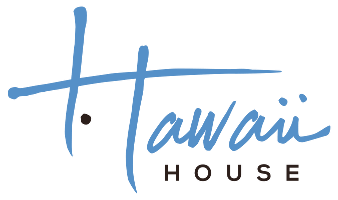 Their aim is to raise the bar on Honolulu and living in in Honolulu, with more convenience and luxury then we have had previously. This is all about lifestyle. Their are promoting a healthy, active lifestyle. From a neighborhood with a 4 acre park at its core, creating streets that are more pedestrian and bicycle friendly it promotes people getting out of their cars and finally with a 50,0000 square foot Whole Foods contained in the neighborhood. Centralized cool and hot water heating for many of their buildings. The condos closer to the ocean will likely, if possible, even have their air conditioning systems supported by deep ocean water making the buildings less dependent on electricity to cool the units. Award winning architect Richard Meier was added to the list of well known international architects to grace the skyline of Ward Village. His vision is to use his latest design, The Gateway, to elevate Honolulu and bring it into a new class. Howard Hughes focus is on bringing the standard of living up in their neighborhood and even there moderately priced condo, Ae’o has a special feature in the 50,000 square foot Whole Foods on the ground floor. This exceptional vision of a luxury neighborhood is making buyers flock to Ward Village. In total the current master plan outlined by Howard hughes includes some 22 new condominiums on their 60 acres of land. Our Kakaako is the concept of Kamehameha Schools redevelopment of their land holdings in the Kakaako district of Honolulu. Situated closer to the downtown financial district, their land also includes some parcels on the makai (ocean side) of Ala Moana Boulevard in an area known as Kakaako Makai. Kamehameha Schools is partnering with local and national established developers to create a local vibrant community in thier Our Kakaako. Their goals of creating a pedestrian friendly, urban environment for people to gather. These developments promise to more affordable for local people to come and enjoy. They are also making a commitment to try to work with the existing fabric of the neighborhood. They are repurposing and remodeling buildings to keep that industrial, warehouse look. This is an attempt to reach back to the history and sense of place. They are also doing much more for the community. They are encouraging small locally owned businesses to populate the area. Start-ups and unique businesses have been given a hand. Small businesses like a micro-brewery, an artists’ enclave, interior designers, and clothing designers are just a few of the types of businesses being nurtured here. This is also fast become one of the popular places for nightlife. Regular block parties and events are being held in this area of Kakaako every weekend. Most of the Our Kakaako condos are more moderately priced which shows Kamehameha Schools commitment to the local community. There are some exceptions with this. Further towards the mountain along Kapiolani Boulevard, transformation is ongoing. Separate projects are turning Kapiolani boulevard into a more upscale tree-lined street. Many of the luxury car manufacturers have already gravitated to this area years ago and with projects such as 909 Kapiolani, Pacifica Honolulu and One Ala Moana we are seeing the foundation for this transformation for condominiums. New condominiums are planned and nearly finished along this corridor which includes the Symphony and Kapiolani Residences. There is at least one unnamed condominium that will be popping up along Kapiolani Blvd. Because Waikiki is already built up, there are much less opportunities for new condominiums. Typically new condos in Waikiki will be of the condotel variety. The latest projects are the Ritz-Carlton Residences and the Kings’ Village mall will be rebuilt into a luxury condominium located at 133 Kaiulani. In all, we are looking at a major transformation of the Honolulu skyline with all of these condominiums. They support the active lifestyle Hawaii residents and visitors crave. It means spending more time outside enjoying the bright sunny warm weather.